Do you have trouble when walking with your dog that the jacket tightens around your arms? Then a Softshell vest is the solution for you. 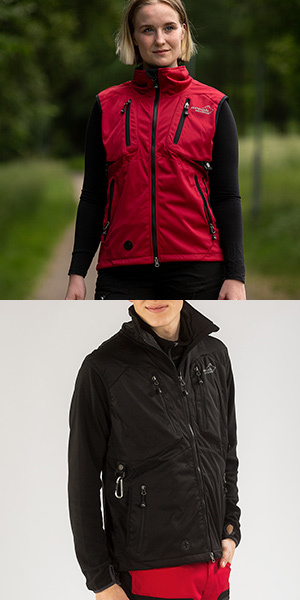 Softshell vest is a practical garment for those who love to move freely outdoors. Whether you are going to walk with your dog or work in the garden, the vest is a perfect garment if it were a cooler and windy day.